Saute onions and garlic in a heavy saucepan for 2 minutes. Add ginger and the rest of the barbecue sauce ingredients. Let is simmer uncovered, stirring occasionally until thickened. Place sliced onion and garlic at the bottom of a baking pan big enough to accommodate the pork loin. Sprinkle salt and pepper on the meat and place it in the pan, on top of the onions and garlic. Pour brandy and broth over the loin. Cover with aluminum foil and bake for 20 minutes at 400 degrees. 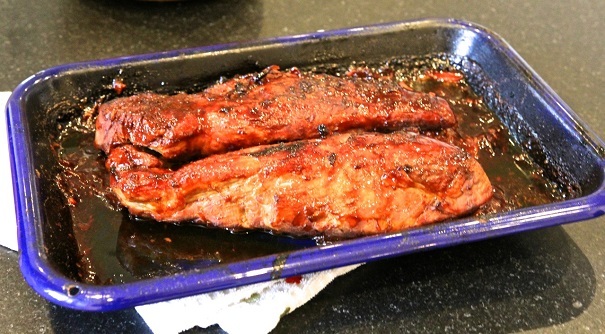 Uncover and add half of the barbecue sauce to the loin. Cover and continue cooking at 300 degrees for 2 hours, or until pork is tender enough to be shredded easily. 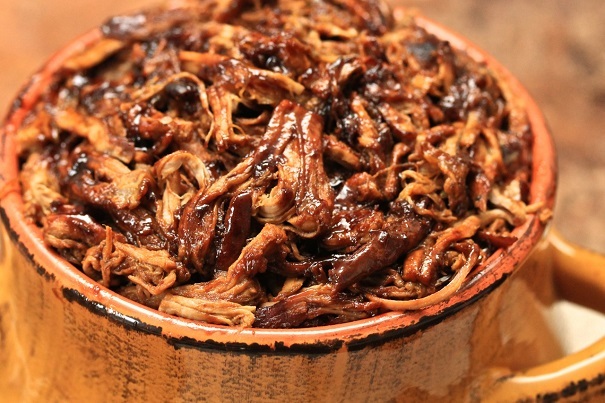 Shred pork and mix in pan drippings and remaining barbecue sauce. Oh My Oh My!!! This looks so gooood! Thank you! 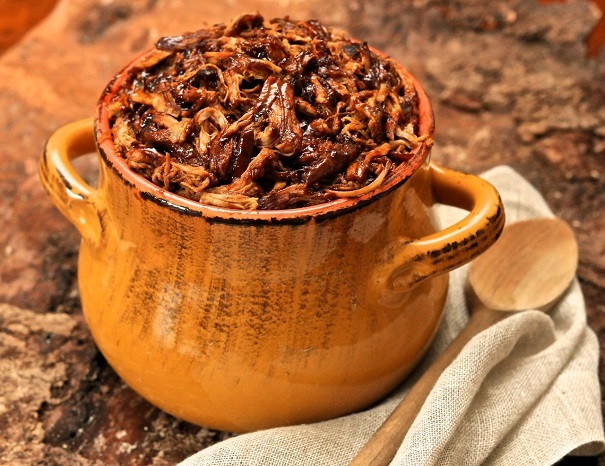 Would this recipe lend itself to being cooked in a slow cooker/crock pot? Yes!! That’s what I usually do and it’s so easy. Thanks for commenting and happy Christmas. Here’s a link to the recipe: http://americas-table.com/ask-lea/gifts-from-the-heart/ Thanks for commenting and have a happy Christmas!